For the first time in its storied 175-year history, The Citadel’s two most senior regimental officers both are minorities. Cadet Sarah Zorn is first in command as the cadet corps’ regimental commander and Cadet David Days is the corps’ second in command as its executive officer. 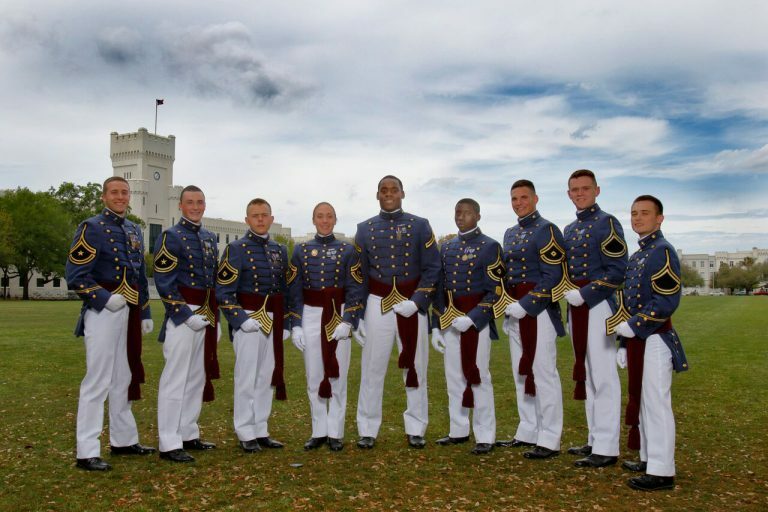 As one of the nation’s foremost military colleges, The Citadel since its founding in 1842 has represented the epitome of a culture of white male dominance. And it has been a training place for some of the nation’s most prominent military, business and political leaders. However that culture of exclusivity began to change in 1966 when the first African American cadet, Charles Foster, was enrolled. In 1996 The Citadel enrolled its first female cadet, Shannon Faulkner. The 571-member class of 2017 included 50 African Americans, 38 females, 36 Hispanics, 27 Asian or Pacific Islanders and 14 Native Americans. In the fall of 2018, Zorn and Days became the first female and African Americans to lead the cadet corps. Zorn said the institution has come a long way. At The Citadel today, it’s not about gender or race, but about one’s credibility, Zorn said. Respect must be earned, said the Zephyrhills, Fla. native who has lived in Aiken since age 16. As a colonel in the corps of cadets, Zorn feels her fellow cadets and the commandant department have confidence in her ability to lead. She works to maintain their confidence by fulfilling her duties coordinating the day to day activities of the corps. Zorn says that culture of responsibility and fulfillment is universal at The Citadel. It’s no different for women, she emphasized. Despite the relatively brief time women have been a part of the corps of cadets, Zorn says the positive support she and others experience is overwhelming. A product of the corps’ four-tiered class system, the Army ROTC field artillery cadet who majors in Business Administration always has aspired to military career. The Citadel was her first and only choice for college, she said. Days said he appreciates that the path which has led him to leadership in the corps was cleared by many others who came before him. Often reflecting on the strength and courage exemplified by former cadets such as Foster and Joseph Shine, he’s committed to keeping that path clear. Last year he started a mentoring program for Citadel freshmen. Also committed to becoming an Air Force officer, he hopes to go on to law school eventually serving as a JAG officer then returning to his home in Rock Hill to practice law. His commitment to service is rooted in his Christian faith, Days says. It’s led him to missionary tours to Ecuador, Rwanda and his mother’s native home of Jamaica. Using money he raised himself, Days has funded several of the tours himself. Days says The Citadel’s values of honor, duty and respect are at the core of his vision for his future. The Citadel has been an inspiration in his quest for success, he said.